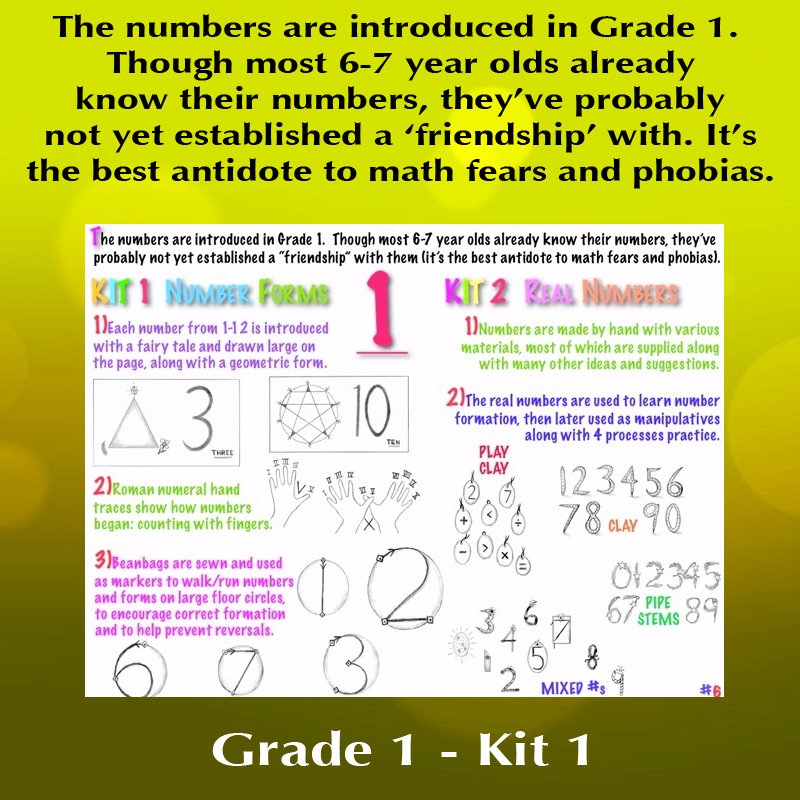 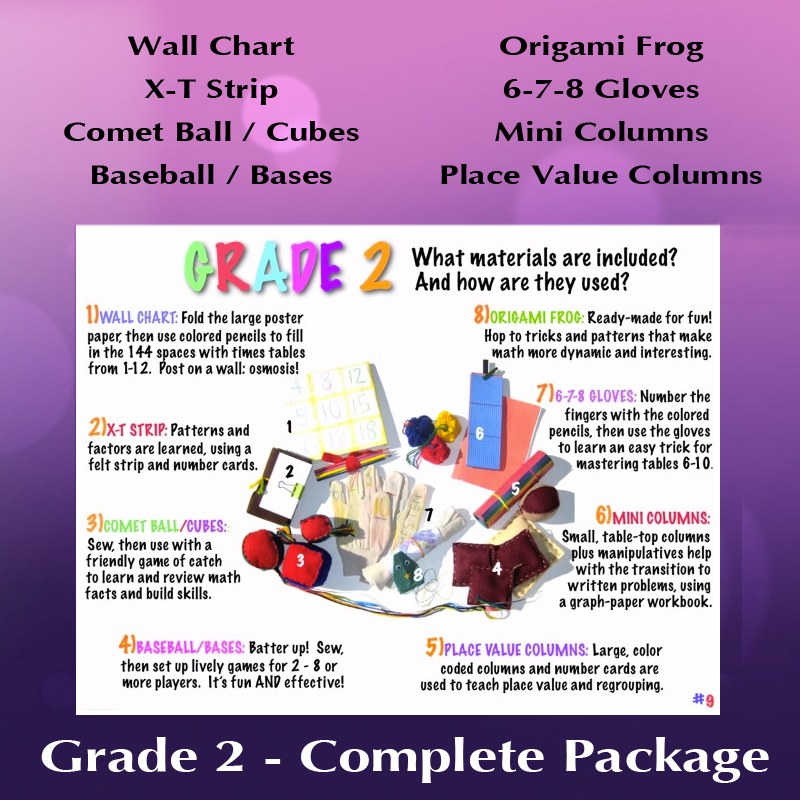 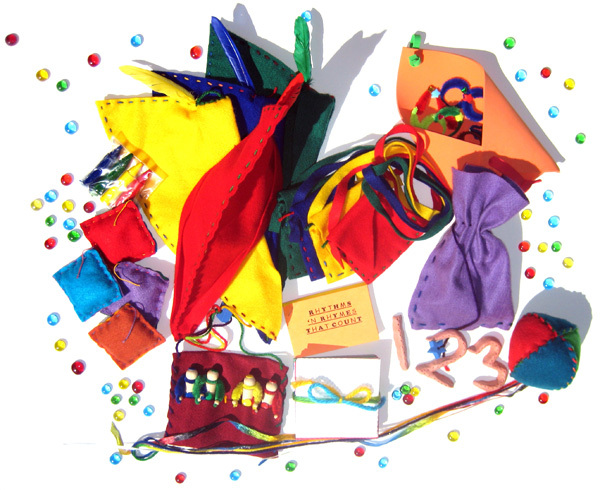 GRADE 1 COMPLETE PACKAGE: includes the four first grade homeschool math curriculum hands-on kits, complete with everything you will need to create the learning materials, plus a binder with full instructions and lesson plans. 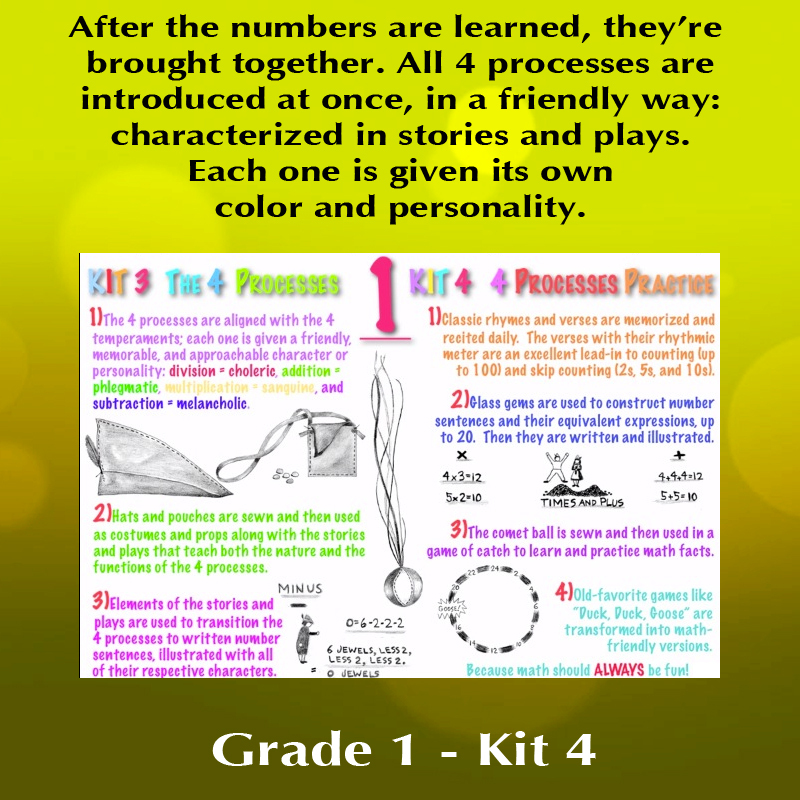 A book containing form drawings and a collection of fairy tales is also included, as is the NEW Daily Lesson Plans book: a complete day-by-day guide to using the Math By Hand materials and binder. 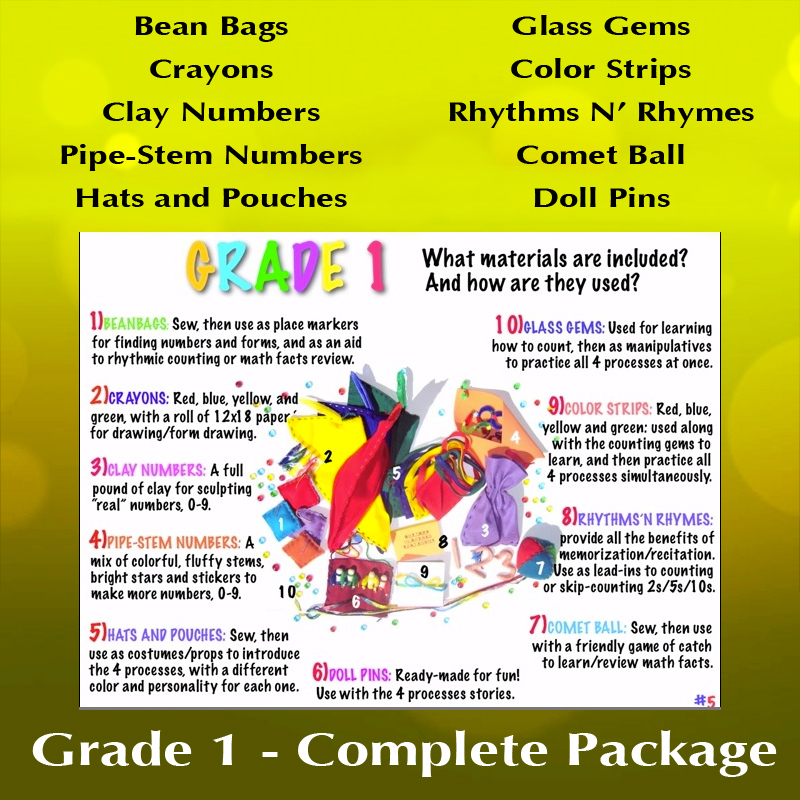 NOTE: Receive a $20 Family Rebate check for each additional Complete Package you order.